In the good old times, any flights within Europe would be booked with the national carriers of either the country the flight would originate in, or the one from the destination country. Back then, Lufthansa and Iberia offered flights between Berlin and Madrid, Austrian Airlines and Air France were the airlines to contact for flights between Vienna and Paris, and so forth. One date was the beginning of the end. On April 22nd, 1999, exactly twenty years ago, an unconventional airline called Ryanair started its daily flights between London Stansted and Frankurt Hahn. The latter airport, a former Air Force base in the Hunsrück mountains, would soon become the Irish airline’s first base on the continent. More followed very quickly. A lot of aspects about flying changed on that day. For instance, Frankfurt was not Frankfurt. Well, Ryanair called it Frankfurt, but passengers who arrived or departed at Frankfurt-Hahn Airport were located 102 kilometers (63 miles) from Germany’s banking capital. There was a transport problem. The same applied to Paris Beauvais, located 85 kilometers (53 miles) from Paris, Stockholm Skavsta, Barcelona Reus and other airports mainly used by freighters and small aircraft, up to the moment Ryanair invaded them. Suddenly they were crowded and needed shuttle bus services. In some cases, the time it took to get there, to wait, to fly and to get from the destination airport to the city, was longer than a train trip between the same cities. But, and this is the point, Ryanair flights were a lot cheaper from the start. Flying to Mallorca or Rome for 20 Euro (22 Dollars or 17 Pounds)? To Germans, other Europeans and everyone else, a miracle had happened. Were they in the wrong movie? How in the hell did that happen? Why had they always paid hundreds of Deutschmarks per flight? In the United Kingdom, the phenomenon was not entirely new in 1999, because Ryanair had started operating on the British Isles six years earlier, in 1993. They were used to low ticket prices, but also to pay for luggage by bag and for every orange juice they consumed on board. Flying was, and still is, a whole new ballgame. Everything was turned upside down. By today, Germans and all other Europeans have become used to the phenomenon Ryanair and its competition, such as Wizz Air and EasyJet. We fly to Milano to shop, to London, in order to attend a single Soul concert, to Sofia, for an opera performance or to Oslo, in order to pay a fortune for a cup of coffee. We are like chicken in a bloody egg factory, when we squeeze our 190 centimeters (6’3 feet) into that scandalously narrow gap between seat rows. Ad we accept those strict luggage rules. Or, instead of paying for the transport of a regular suitcase, we just put one set of underwear into our hand luggage. And we walk two kilometers (1.24 miles) to the cheap airport terminal. We walk across the airfield before boarding the plane. We keep our expectations low, or we don’t have any at all, except for getting from A to B quickly and in one piece. Well, actually, some Germans have enough. Just a few days ago, the German-language ‘Welt’ daily reported, only one in seven passengers would not fly if tickets were a bit more expensive. This is the outcome of a poll conducted for the newspaper. More than half, 55 percent, of all respondents said they wanted more service, even if this meant paying more. Today, Ryanair and other airlines of its kind let us fly for less, but they cause problems too. In the past 20 years, they have been accused of exploiting their staff, they have angered their passengers with weird luggage rules and other bad surprises, and they are overcrowding Europe’s airspace. The latter aspect is actually dangerous. Ryanair, which by now has become the biggest airline on Earth in terms of moving international passengers, has its own problems too. It flies Boeing 737-800 aircraft only, at this stage. But the company recently ordered as many as 135 Boeing 737 Max 200 planes. This model is obviously part of Boeing’s 737 Max series, which is grounded in most of the world due to two deadly crashes which might have been caused by a faulty software program. 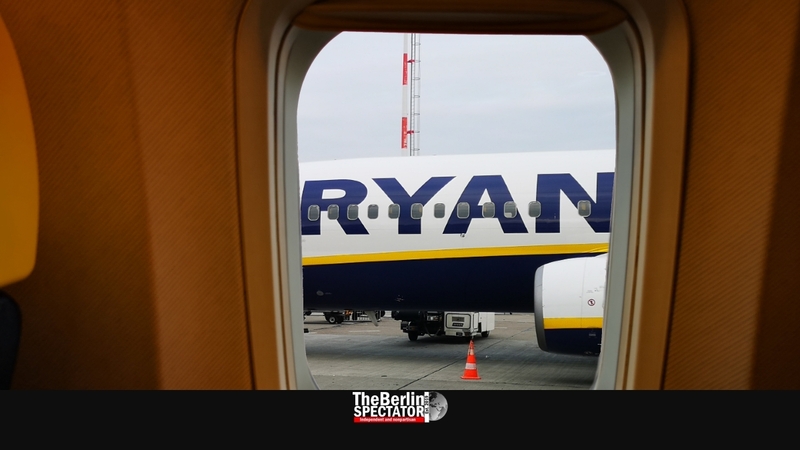 However, Ryanair’s growth may have slowed down to some extent in 2018, but the airline did transport the unbelievable number of 139.2 million passengers last year. This is an increase of 8 percent compared to 2017. A few months ago, Ryanair swallowed the bigger part of Lauda Motion, Niki Lauda’s airline, which was just renamed ‘Lauda’. 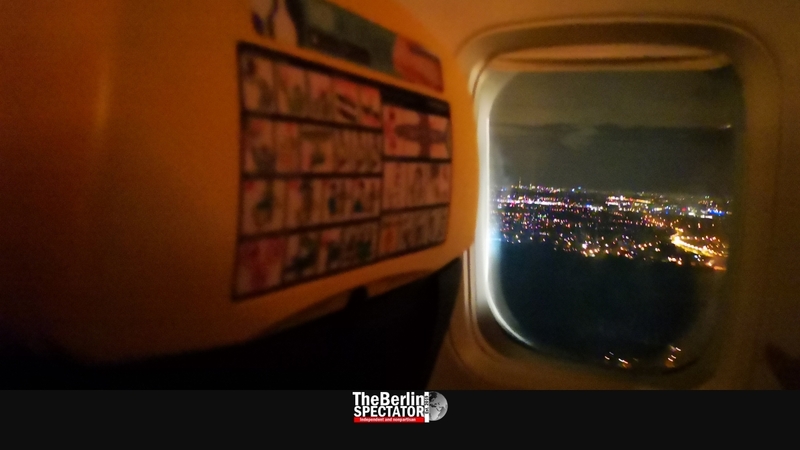 Twenty years after the Ryanair invasion began, the squeezing will continue. So will traveling with only one extra set of underwear. We will be thirsty and hungry during the flights we take. And we will hate it. But we will get there.